Training is essential to the success of workplaces in light of technological advances and the constant evolution of business regulations. Professor Lyman Porter at the University of California at Irvine’s Paul Merage School of Business emphasizes, “The environment is changing so rapidly and development occurs so fast it’s absolutely necessary to keep training and re-training employees.” He warns that workers can become outdated if they do not receive sufficient training as more time passes. Training is viewed as vital to employee success at Evergreen Realty in Orange County, Calif., and company real estate director Lisa Schultz says that good training breeds confidence among workers. Evergreen offers training sessions at least twice monthly to its roughly 650 employees, and the changing nature of real estate transactions over the last two decades has made even veteran agents keen to update their skills. Meanwhile, Orange County-based McCarthy Building Companies holds six training events per month, and these training sessions help avoid feelings of isolation among the firm’s far-flung workforce of nearly 400 people. 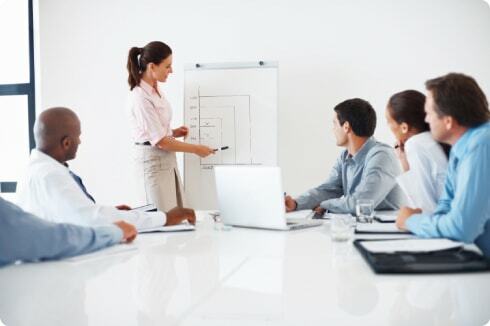 McCarthy additionally offers soft-skills training directed at the company’s management team. “If you work up the chain, the technical skills can get you there, but the further you go, you need people skills,” says McCarthy training manager Anne Langseth. Employee training and development programs build a more confident and productive workforce and create the foundation for career path planning.